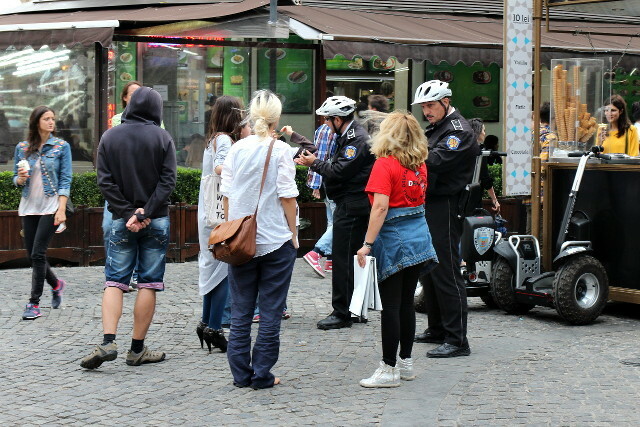 A group of vegans harassing people (tourists and not only) eating out in the Bucharest old city. 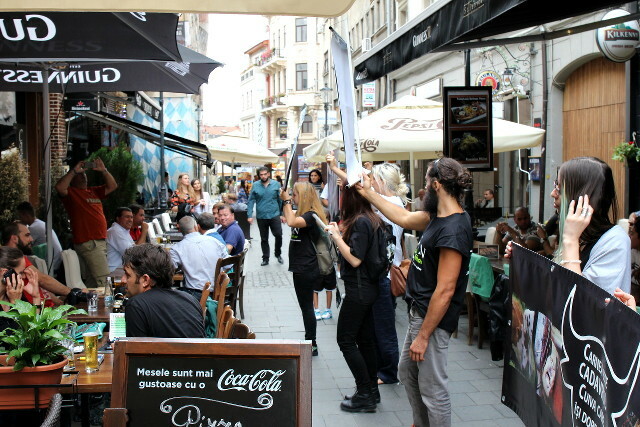 With some stupid banners they were standing and starring at people from the tables. Of course, the team was complete with a photographer documenting the protest.